Looking for a Golf League? Play in the Monday Night Twilight League at Chesapeake Bay Golf Club. Open to Public, Best Ball Format, Co-Ed, Tee Times 4-6 pm. 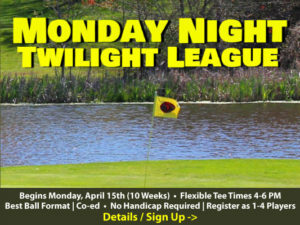 Looking for a Monday Night Golf League? 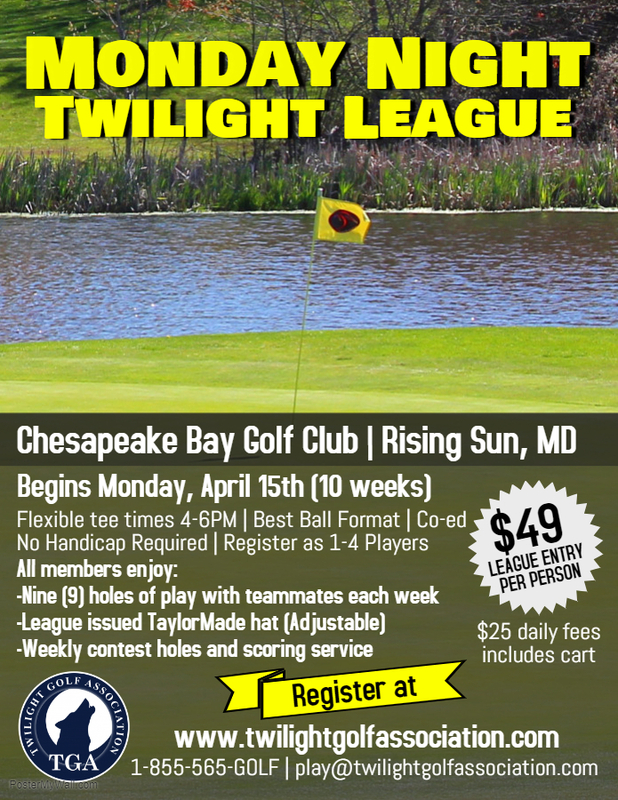 We invite you to play in the Monday Night Twilight League at Chesapeake Bay Golf Club! Best Ball Format in a friendly and competitive league! 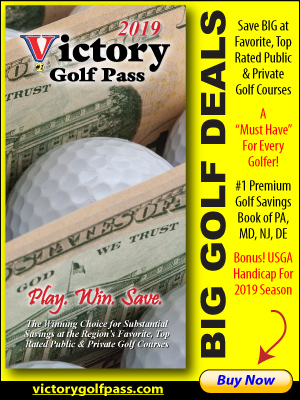 For more information or to join, please visit the twilight golf association website, email play@twilightgolfassociation.com or call 443-846-0655.